An interactive, noncredit workshop designed for professionals serving in Health and Human Services positions. Attend this workshop to better understand and navigate the intricacies of the LGBTQ community. The "T" in LGBTQ+ can be a source of confusion. If you are a Health and Human Services professional who seeks to understand this oft-misunderstood community or would like to know more about this community, we invite you to attend our course. We will define, explore, and provide ample space for questions. Our props alone are worth a closer look! Fee: $189 (register before May 1 and save $30). Lunch included. CEUs available. 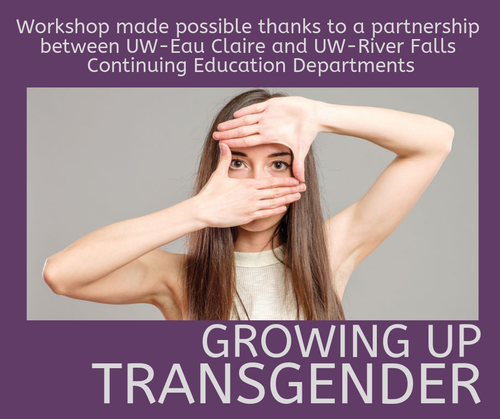 Offered in partnership with UW-Eau Claire Continuing Education.